Correct response: What are the Munchkins? Following the death of Ruth Duccini in January 2014, Jerry Maren became the last surviving Munchkin on the cast of the 1939 film The Wizard of Oz, playing a member of the Lollipop Guild. When he was part of the cast at 18 and 19, he stood just three feet, six inches tall, but grew to four feet, six inches later in life. Maren, who was present at the 2007 Hollywood Walk of Fame ceremony honoring the Munchkins, died in May 2018, aged 98. He also outlived all major cast members of the film. An average of 3.2805 5+-time champions (standard deviation 1.3831). An average of 5.2092 4+-time champions (standard deviation 1.8351). An early cutoff took place 5.796% of the time (or a 5-game winner will be left out). 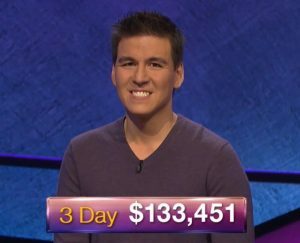 James Holzhauer qualified 94.228% of the time. Eric R. Backes qualified 78.842% of the time. Anneke Garcia qualified 53.882% of the time. Lindsey Shultz qualified 25.298% of the time. Dave Leffler qualified 7.954% of the time. Jonathan Dinerstein qualified 0.509% of the time. 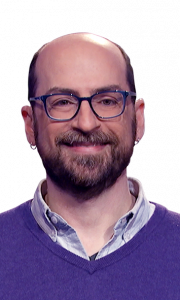 Comparing James’ first three games to the first three games of the recent Jeopardy! All Stars, using the same model as was used for the All-Stars predictions, James’ first three games (3-game rating $21,200) only trails Roger Craig ($22,600) and Ken Jennings ($22,200). Effective in first on buzzer stats: James 52.83% (28/53), Matthew 30.19% (16/53), Maryanna 16.98% (9/53). 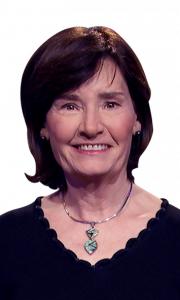 20 Comments on "Today’s Final Jeopardy – April 8, 2019"
Thank you, Andy, for this fan site. 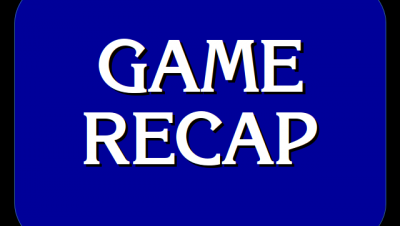 The Cubs will preempt Jeopardy in Chicago today. At least it’s their home opener. James is such an extremely impressive contestant. 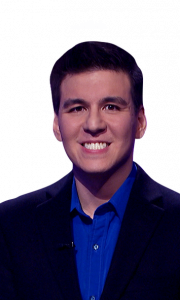 I think that he could be the next Ken Jennings. 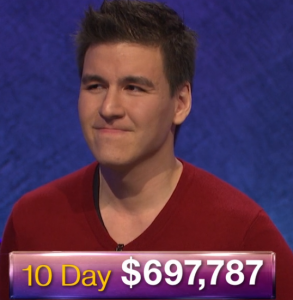 Fortunately the NCAA final comes AFTER Jeopardy broadcasts on CBS, so I can see how James does it. I feel like James is someone I’ve met before. I live in Barrie, Ontario, Canada. About 5 or 6 years ago he lived in Naperville IL and I think he grew up there. Now with is record breaking win yesterday, Chicago news is talking about him. He grew up in Naperville IL and graduated from University of Illinois. There was an answer today about a prison book. What was the question that the response was halo? My guess is likely “yes”; I suspect this may have been a Final with many alternative correct responses. I wonder if a contestant who wrote that might have been asked to rewrite their answer to avoid the possibly offensive word “midget”. When I was a kid watching the yearly showing of Oz on tv, I always thought the final credit at the end “The Singer Midgets As The Munchkins” referred to the fact that they sang…didn’t find out till later that Singer was the man who formed the troupe of little people. James has a remarkable wide range of knowledge. But anyone surprised a sports gambler didn’t know what the NFL changed to the 15 yard line? Except that the kick itself isn’t taken at the 15. It was a confusing and poorly-worded clue. I thought the same thing and my dad texted me the same! Maybe he was confused by the wording…? On June 6, 2018 the Chinese Theatre dimmed its lights to honor Jerry Maren, who lived to the greatest age of any of this 1939 group. Would “The Lollipop Guild” have been an acceptable answer?